In 2012, residents of Rocky Mount started hearing about plans for an event center. The city council was talking about a project that would spur downtown economic development and regeneration, attract visitors and their money to the area, and help turn around the city. Four years later, the event center is still hotly debated. The cost estimates have changed over time, the center has attracted both enthusiastic support and fierce opposition, and even the nature of the center itself seems to be in flux. 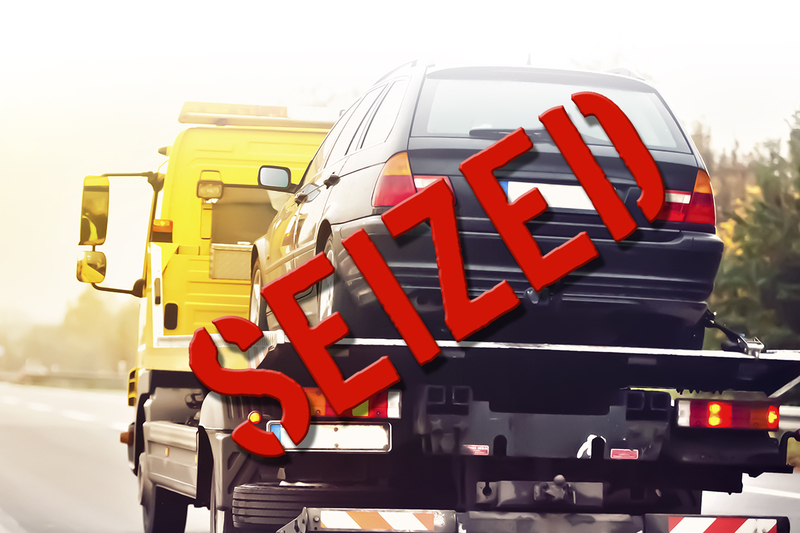 There have been questions about financing and the potential for long-term losses. In sum, the details of the proposed event center remain confusing, and the prospects of its completion remain uncertain and financial stability unlikely. The city is proposing a 175,000-square foot facility with 73,000 square feet of basketball and volleyball courts and seating for around 5,000. The entire footprint of the site, including parking, will be around 12 acres, with the building itself taking around four acres. The Downtown Community Facility would be multipurpose with a specific focus on youth and amateur sports programming. In fact, the facility would have enough space to allot for 16 volleyball courts, 8 basketball courts, an indoor ropes course, a leadership and development center, a corporate team building environment, and classrooms. The most recent iterations even include plans for a health center. While the event center proposal raises many questions, one is fundamental: What exactly is this intended to be? Even if there were a clear answer to that question, there would still be many fundamental problems with this event center. There seems to be little clear vision. The focus is on amateur sports but also corporate team building, reunions, leadership development, and, as mentioned previously, health care. 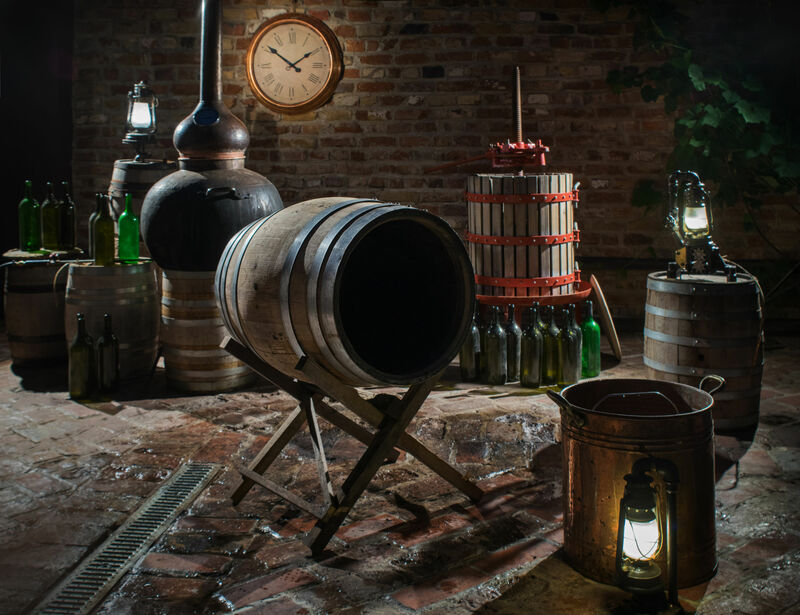 Simply put, the project risks mission drift, becoming a space that is reasonably equipped for many functions, but doesn’t stand out against the competition or cater to any one type of event. Whatever the final cost will be, it will be expensive. The city council is considering special-obligation bonds of up to $44.5 million to pay for the project. Special obligation bonds are a kind of debt financing that cities can use for projects like the event center, but they come with a couple of conditions. First, they must be approved by the Local Government Commission (LGC). That meeting is scheduled for early December.2 If the LGC approves the issuance of bonds, then the city’s discussion materials propose a $33,725,000 bond with a 20-year term. Over that 20 years, the expected interest payments would total more than $17,000,000, bringing the total cost to over $51 million.3 All of this can be accomplished without voter approval. And the costs do not end there. In 2013, the city hired AECOM consultants to conduct a feasibility study on the proposed event center. Those consultants predicted operating deficits of hundreds of thousands of dollars for each of the first 10 years (as far into the future as the report attempted to cover).4 That was a total of $4.3 million in deficits over just the first 10 years, with no expectation that the center ever would make a profit or even break even. Unsurprisingly, the city of Rocky Mount commissioned another report, this time from SFA/SFM, a firm that manages sports centers. This report told a different story, one in which the event center lost money for the first three years, but then became profitable in year four. There are several reasons to question these projections. First, SFA/SFM, as the name implies, is a company with two parts. The first is “Advisory” – essentially consultants that evaluate projects. The second is “Management” – running centers similar to the one proposed in Rocky Mount. It is conceivable that the SFA/SFM’s results were driven by a desire to paint a positive picture, putting SFM in a position to win a management contract when the facility was built. It should be noted that the AECOM report was not plagued with this same sort of conflict of interest. The AECOM report did, however, have other problems. For example, it suggested various funding streams that are not available to North Carolina cities, revealing an ignorance of local circumstances. That said, the sizable differences in operating estimates presented by the two reports on the same event center also suggest that precise predictions of revenue are virtually impossible and should be treated with caution. 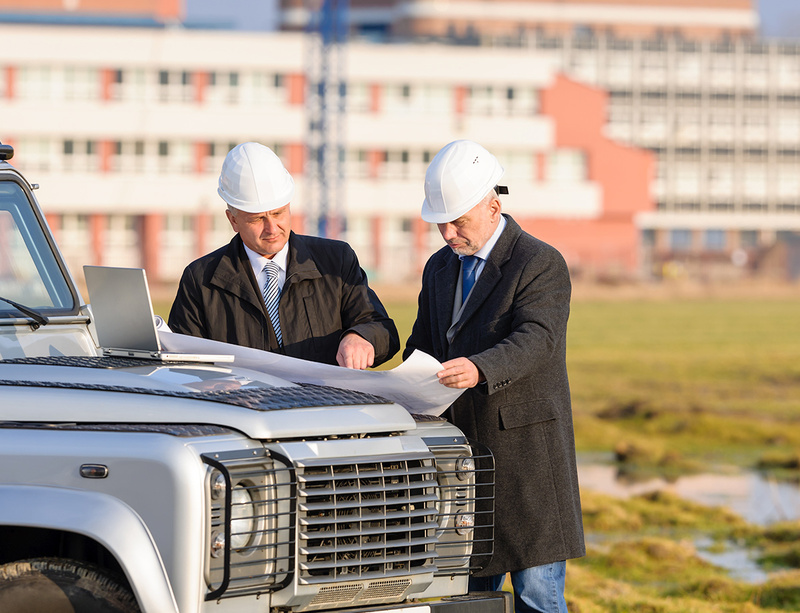 A more reliable comparison is to assess the record of projects in similar markets. The SFA/SFM report does not detail the exact locations with which it is making comparisons, but many of the projects listed in its presentation to the city are in communities that are substantively different from Rocky Mount.5 Many are either in large cities themselves or located in the metro areas of large cities. The Woodlands is a wealthy suburb of Houston. Fremont and Santa Clara are in the San Francisco Bay Area. Nassau’s project is in the Bahamas and serves as a national stadium. Gatlinburg and Myrtle Beach are major tourist destinations quite apart from any sports facility. Are these the cities on which SFA/SFM bases its estimates? It is difficult to tell because, while these locales are all cited, the published reports do not provide details of the individual performance of these facilities. AECOM considered five similar facilities in its report. These also aren’t perfect fits, but they seem, overall, more similar than those listed by SFA/SFM. Every single “comparable facility” chosen by AECOM for its report had significant operating deficits year after year. 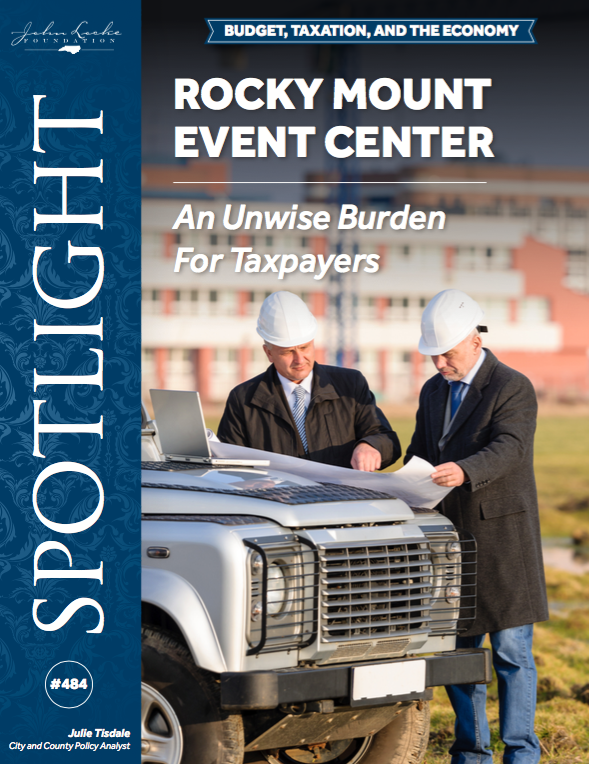 Rocky Mount should consider the impact on the city if its result is the same – additional costs that will have to be made up by the taxpayers. Rocky Mount straddles the county line between Nash and Edgecombe counties. It has a population of just under 56,000, and that represents a decline of 3.3 percent since the 2010 U.S. Census. Nash and Edgecombe counties find themselves in similar situations with declining populations. The population in Nash dropped 2 percent between 2010 and 2015. Edgecombe dropped 4.2 percent during that period. Nash County has a $7.2 billion tax base. After the revaluation, that total will drop to at least $6.7 billion if the decrease is 10 percent, even lower if the decrease is steeper. Obviously, this is a problem for homeowners and business property owners who are watching the value of their assets diminish. And to keep the counties’ property tax revenues constant, tax rates will likely have to be increased significantly. Given the mix of challenges that the city faces, it is not surprising that the leaders of Rocky Mount are looking for ways to generate economic growth. But these special-obligation bonds are loans taken out by the local government that must be repaid. The city expects to pay $17 million, or nearly half of the original loan amount, in interest. And taxpayers will have to pay for operating deficits. Altogether, tens of millions of dollars in additional tax burden will fall on taxpayers in and around Rocky Mount if this facility is built. There is no guarantee that the number of taxpayers or taxable property will increase to ease that burden. In the end, the event center threatens to become an albatross around the necks of both current taxpayers and their children at a time when they can least afford to assume this kind of long-term debt obligation. 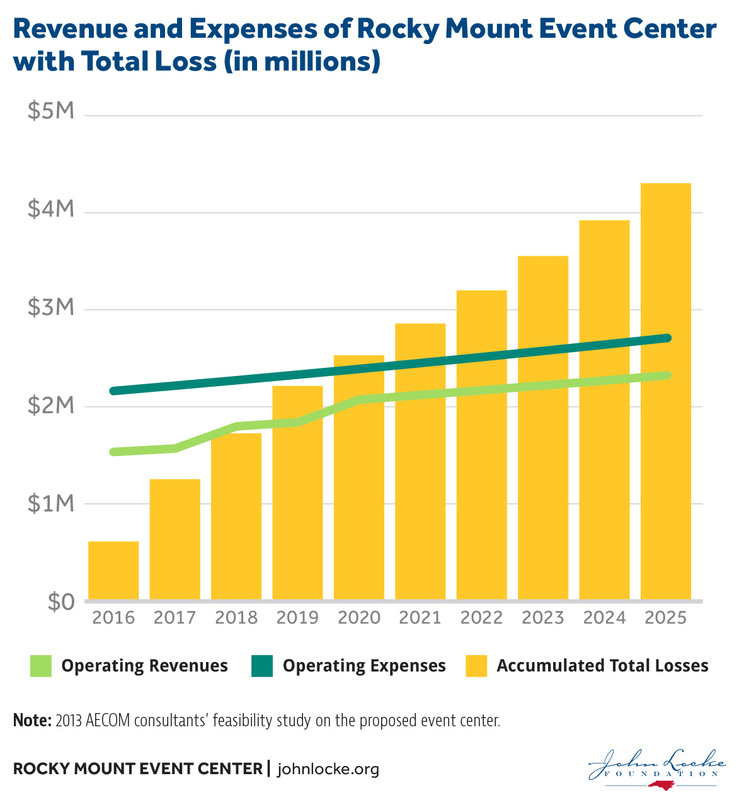 Another issue facing Rocky Mount’s proposed event center is a lack of ancillary enterprises needed to support the kind of activity the center’s proponents would like to attract. If the center is going to host amateur sports tournaments, for example, the city will need hotel and restaurant facilities for the participants and spectators. Downtown Rocky Mount, near the proposed event center, has no hotels and few restaurants. The city council seems to think that one of the advantages of an event center is that it will spur investment in hotels and restaurants. But given the history of similar centers, it is highly questionable whether the center will attract sufficient traffic to entice developers to pursue these kinds of projects. Even prosperous communities with large convention centers have been forced to use financial “incentives” to attract hotels to locate near their facility. Rocky Mount would likely have to do the same. In addition, existing restaurant owners and other downtown merchants, who correctly point out that incentives for new enterprises are unfair to them, may demand that the city distribute incentives to them, as well. All of this would be yet more money from taxpayers to prop up an event center that should never have been built. So, what should Rocky Mount do instead? After all, the city council is right in its assessment that the city needs something to change the current demographic and economic trends. There are options that could improve the outlook for the city. First, Rocky Mount and Nash and Edgecombe counties should consider lowering, or at least freezing, tax rates, despite the property devaluation. Yes, this will mean a drop in revenue in the short term. But it will also offer relief to property owners, whether home or business, who want to make improvements to their property, making the area more attractive and desirable. It would keep more money in the pockets of small-business owners who want to invest in their businesses or hire additional employees, both of which strengthen the local economy. It would make the area more attractive to large employers who are considering Rocky Mount as a possible location. And it would keep the money with local consumers who will, at least in part, spend it at local businesses. Second, the local governments may consider zoning regulations. Less restrictive zoning makes it easier for businesses to grow and entrepreneurs to innovate. Done well, they can free up people to use downtown space more creatively, without negatively impacting residential neighborhoods or areas around schools and parks. Rocky Mount should consider whether there are opportunities to rethink its approach to zoning. And finally, Rocky Mount should recognize that the one advantage of property devaluation, despite the very real hardship for current property owners, is that it can make development relatively inexpensive. Land and buildings in Rocky Mount would be less expensive than those in competing locales, making them attractive to private-sector companies wishing to grow, build facilities, or locate corporate offices. The area could be attractive to developers looking to build a variety of facilities, as opposed to an event center that would have to be propped up with taxpayer dollars. None of these measures are as exciting as a flashy new events center, but they encourage real, organic, sustainable growth. That, rather than further debt burden, is what the City of Rocky Mount needs.